You can see and register for all classes here. Make these keyboard mitts for your favorite texter, computer nerd, or pianist. Inspired by a vintage sock pattern, they’re a great gift and the perfect way to figure out how to cable or to advance from just cabling to cabling without a cable needle. Come learn the basics of the Triangular Shawl, and how to alter it to fit your needs. We can also discuss different sort of increases, how to insert a pattern, and how to do a fancy garter ridge start to keep a stockingnet stitch shawl from curling. 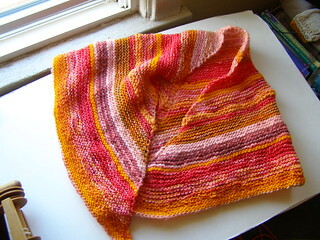 Any yarn and needles you want to attempt to make a shawl with. This class is a multitude of things. You could bring yarn you don’t know what to do with and we can get you started on something and discuss what might be the most appropriate kind of project for the yarn. You could get help with an older project, reading patterns, reading charts, or just figure out where you are with an old unfinished object so you can get going again. Either way, put some yarn to good use! 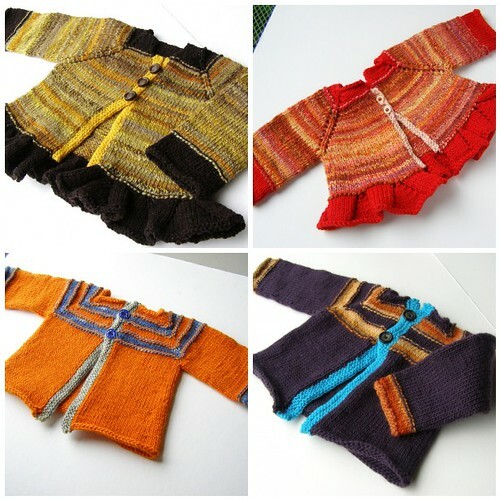 In this class we will discuss how to design your own top down raglan baby sweater in a particular size (you choose). We’ll look at size charts, figure out the math, and have fun discussing the options of what you can do. In the first session, we’ll begin swatching and by the second, you’ll hopefully have some further questions to throw my way. 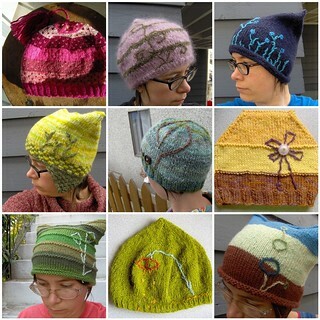 Spruce up that hat you knit 5 years ago, that store bought sweater, or your beautiful newly finished knit with embroidery! Come learn the ins and outs of choosing a motif, selecting an embroidery yarn, and the hands on process of getting the embroidery where you want it and doing what you want it to. We’ll cover some color theory in this class as well as practice several simple shapes to equip you to embellish as many of your knits as you like! I would like to cordially invite all you knitters and spinners to the studio to a knitting/spinning group. I really want this studio to be more than just a teaching/retail space, and this is one of my attempts to do that. So please! Join me. Also, the boutique will be open during these times. See all open studio times/dates here. 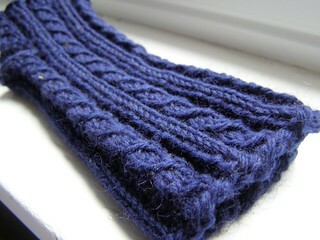 This entry was posted in classes, knitting, open studio, studio by cosymakes. Bookmark the permalink. That’s my HAT!! I miss that hat!! I keep hoping I’ll find the box that it was packed away in real soon now. It was my favorite!